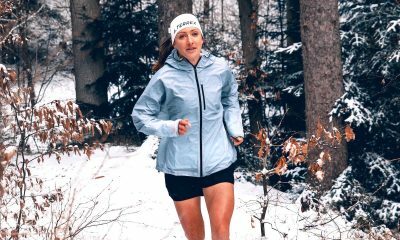 Mountain athlete Holly Page reflects on a month of running that has been rudely interrupted by one little stone on a trail. I’ll be honest, March hasn’t been the best month in the jolly Holly monthly saga. 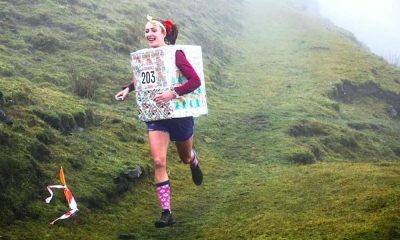 The day after returning from Costa Rica / Panama, I headed down to Sheffield to give a talk at the Kendal Mountain Festival tour, obviously not missing the chance to squeeze in a fell race in the Peak District on my way through. The next weekend’s running involved some finish line drama for almost victory in a parkrun in the Lake District before taking some friends up Scafell on a rather “wild weather” weekend. By mid-March, having only been back in the UK for ten days, I was already a bit fed up of the wild weather and running mostly on my own and my body and mind were maybe still a bit fatigued from Costa Rica and the big mileage I was doing. 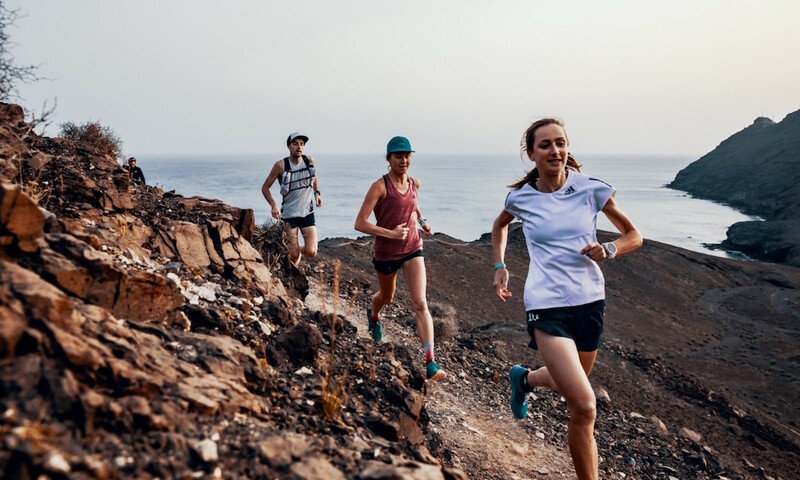 I was looking forward to the Adidas Terrex team training camp on Fuerteventura; guaranteed sunshine and guaranteed good company for a motivation boost. Having only joined the team this year I didn’t know very many people other than those I’d met at races over the last few years, but everyone was extremely welcoming, and I instantly felt part of the group. We were joined by the footwear and apparel teams and it was good to know that they’re athlete driven and want to respond to what WE want to wear. I got in one good day of training, and then on a morning interval session on a dirt road I stood on a stone. One stone. And that was the end of my running. Something happened to the ball of my foot / plantar and no amount of massage or rest seemed to be able to solve it. I hired a bike and learnt to aquajog thinking I would only need a few days without running, but it was still disappointing to miss what was supposed to be a key period of training in the build up to my upcoming races. Instead, I focused my attentions on work (now onto urban transport masterplans for Lagos…), reminding myself that I was pretty fortunate to be in the sunshine and in good company at least! I’m writing this back in the UK, bags (including bike!) packed ready to leave for Japan / China at 3.45am for the first of the Skyrunning World Series. However, given that I now haven’t run for two weeks other than the occasional short jog, I’m questioning whether I’ll realistically be able to race a highly technical course out there. I love parkruns and yesterday I couldn’t resist the temptation of trying out the new Centre Vale one as a test for the foot running a bit faster, but by the time I crossed the finish line the pain was so bad I was hobbling just walking, and I’ve not really moved since! I know I should stop moaning as all runners have been through this, but it’s frustrating that all the hard work I’ve put in over the winter has likely been in vain just because of one stone; I wouldn’t mind so much if it was an overuse injury because that would be my fault but this is just one misplaced stone / footstep (I blame the stone not my footstep!). I’m always wittering on about how there’s so much more to life than running, and of course there definitely is, but it’s the frustration of all those wasted hours and sacrifice, and not knowing how long it will be before I can train properly. Like so many things, you don’t miss it until it’s taken away from you. Everything else is strong – legs, lungs… but not my foot. Will I have to wait a month, two months… it’s hard enough to fit training around work, travels and life anyway and when I have such doubts in my mind it does make me question what the point in it all is. But hey ho, hopefully things will take a turn for the better and ten days cycling through the Japanese paddy fields and sleeping in a bivvy bag will help to heal the foot in time to at least be on the start line of April’s skyrace. Failing that I’ll just have to eat enough sushi to become a world champion sumo wrestler instead.